The future of Greece depends on the health of her people.Your contribution to the Pan Arcadian Hospital is your investment in the future of Greece. William G. Helis was one of the first to contribute to the organization of Greek-Americans for the creation of the Pan-Arcadian Hospital of Tripoli. He was a multimillionaire and one of the main supporters of the American President Harry S. Truman. Along with the Skouras brothers he was one of the founding members of the Greek World Relief Association of America (GWRA). 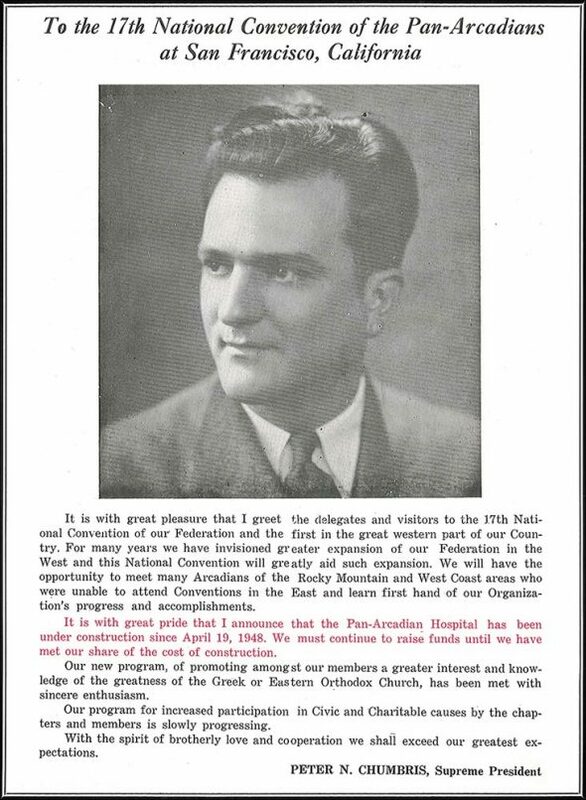 He was one of the first members of the Central Executive Committee and in 1946 he was elected National President. 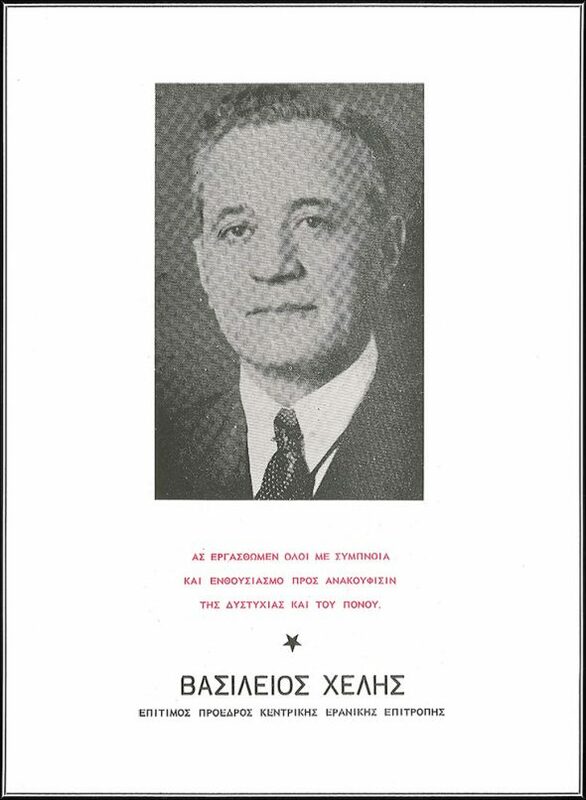 From this position he worked with zeal to gather and send to Greece financial aid of $ 12,000,000 in 1947. 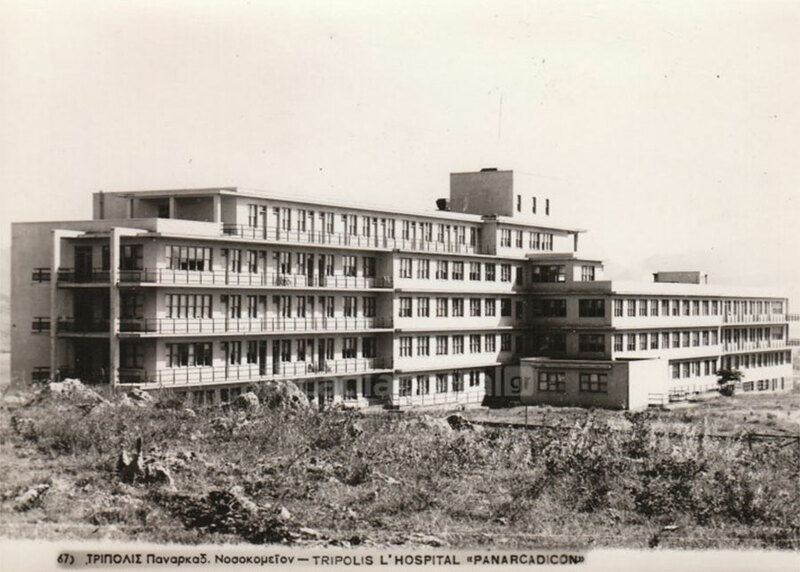 At the same time, with personal donations and as chairman of the Fundraising Committee he led the construction of the Pan-Arcadian Hospital of Tripolis. William G. Helis was born on October 17, 1886 in Tropea, Arcadia. He immigrated to the USA in 1904. In 1908 he married his Dutch-born spouse, with whom he had three daughters and a son. 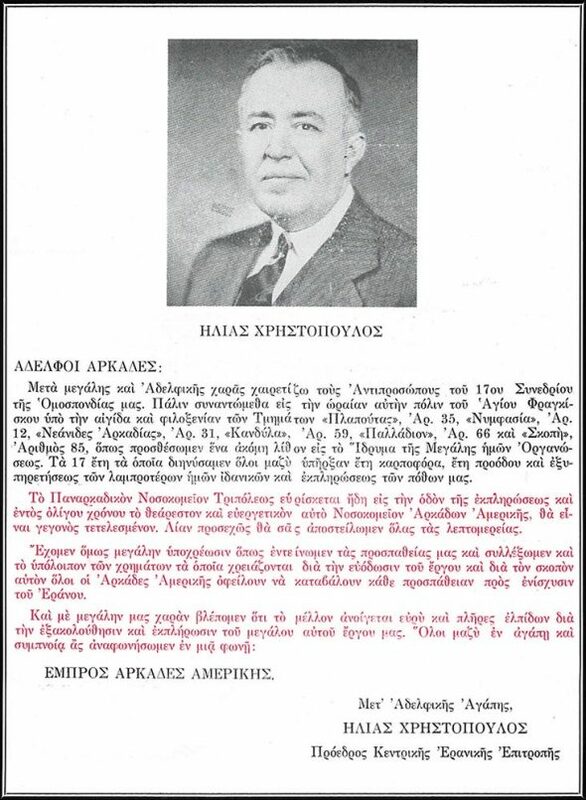 He was one of the major AHEPA executives. 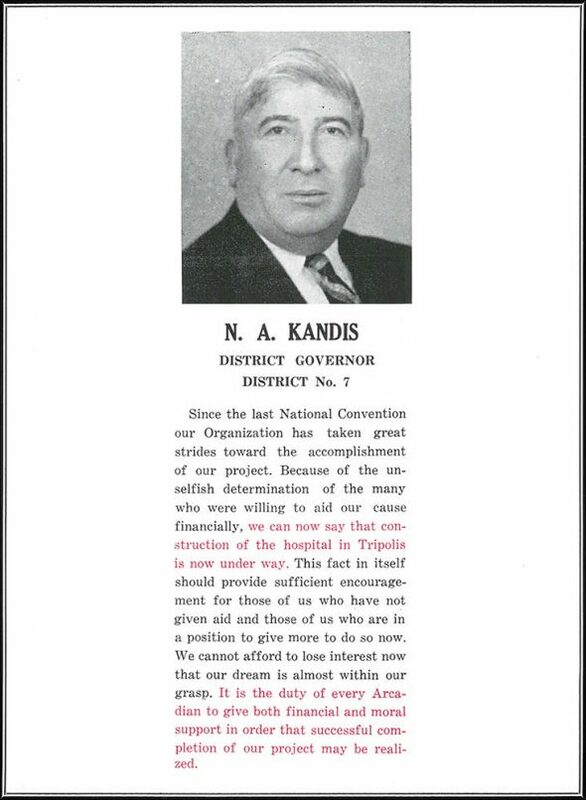 In 1946 he was elected Vice President of AHEPA and in August 1947 at the Los Angeles Congress, he was elected High President of AHEPA. (1947-1949). 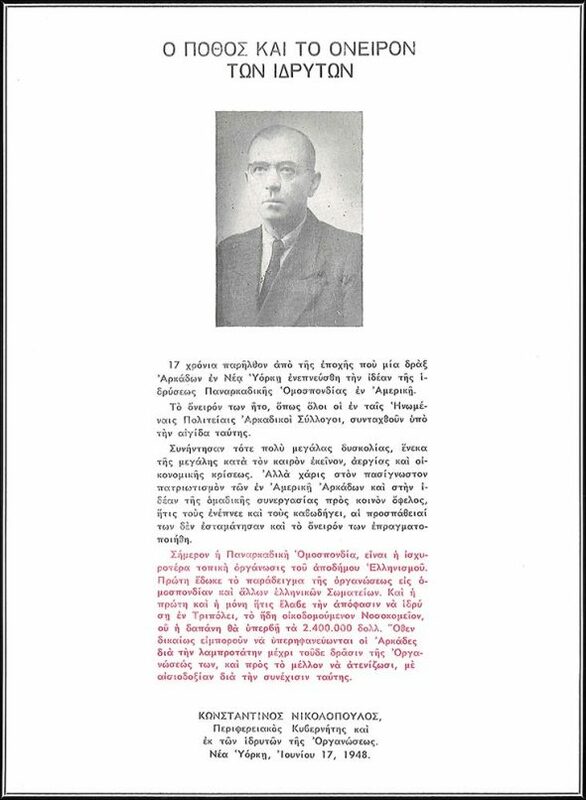 His grandfather served as mayor of Tropea (Arcadia) for 32 years. 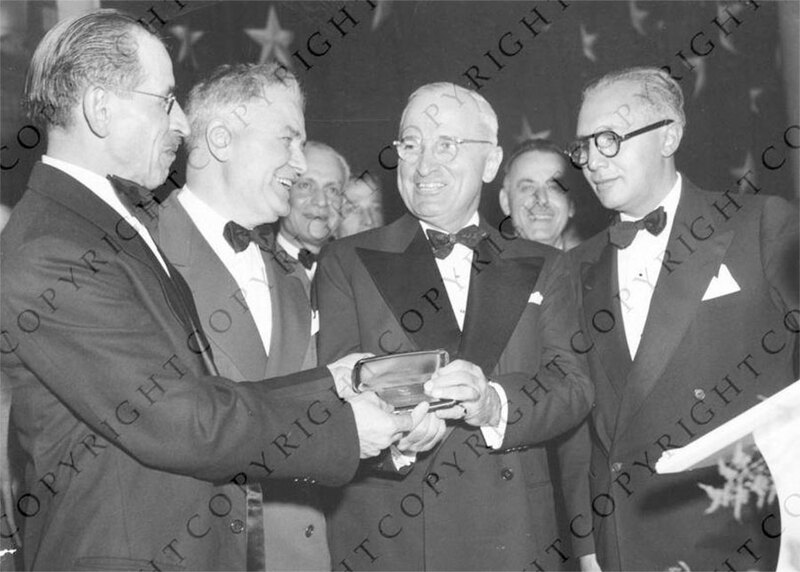 March 29, 1948: President Harry S. Truman (second from right) accepts a gift (probably a membership card) from member of the Order of Ahepa, the American Hellenic Educational Progressive Association. 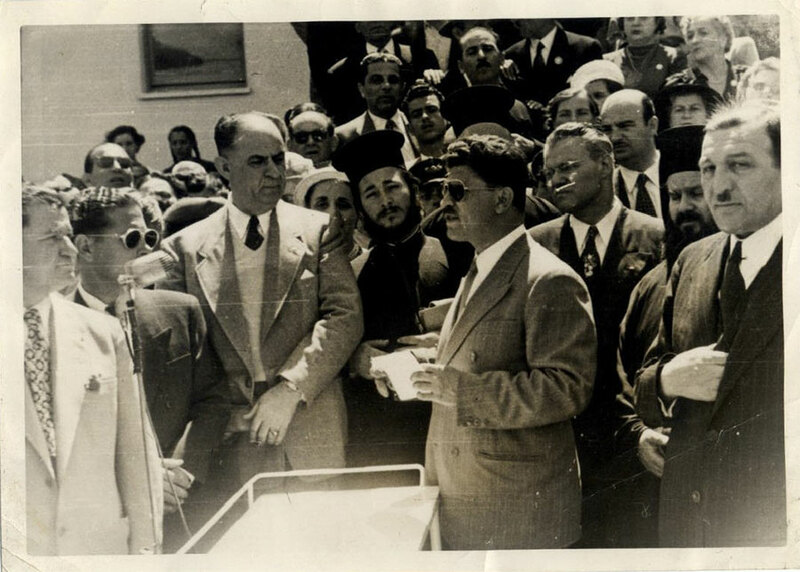 From left to right are: Chris Garrison, Secretary of the Kansas City chapter; Thomas Kapsemalis, President of the Kansas City chapter; President Truman; and William Helis, President of the Order of Ahepa. Hotel – Statler – Washington, D. C.
The Pan-Arcadian Hospital of Tripolis was erected with funds of the Pan Arcadian Federation of America, and of the Greek World Relief Association of America (GWRA), a non-profit governmental organization active during the war period with the aim of aiding Greece, with William G. Helis being a member of its Board of Directors, as well as with the support of the Marshall Plan. 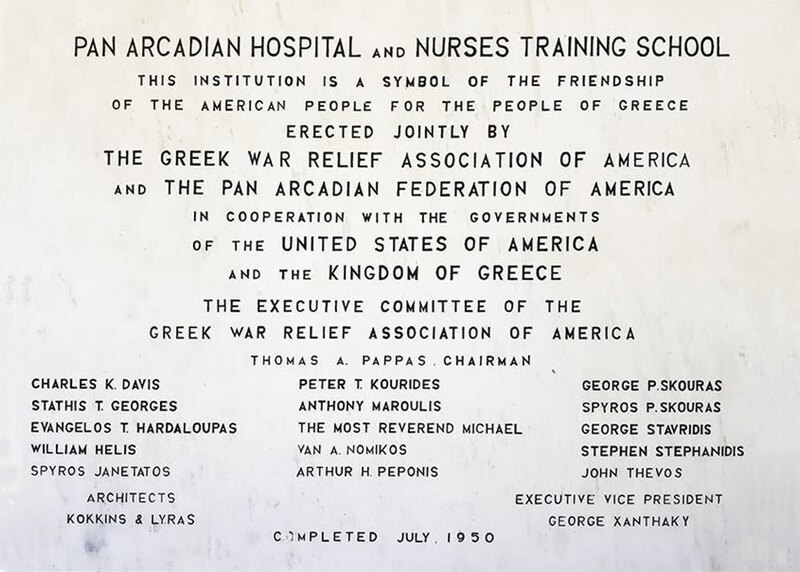 The hospital was built in accordance with “American standards”, since all its materials and equipment had been shipped from the United States as donations of Arcadians in the USA.With the financial support of the Greek-American Arcadians in the USA, the Pan Arcadian Hospital of Tripolis was built with 269 beds for the care of the Arcadian People. In 1951, beds were allocated “for use” in the 411 Military Hospital. 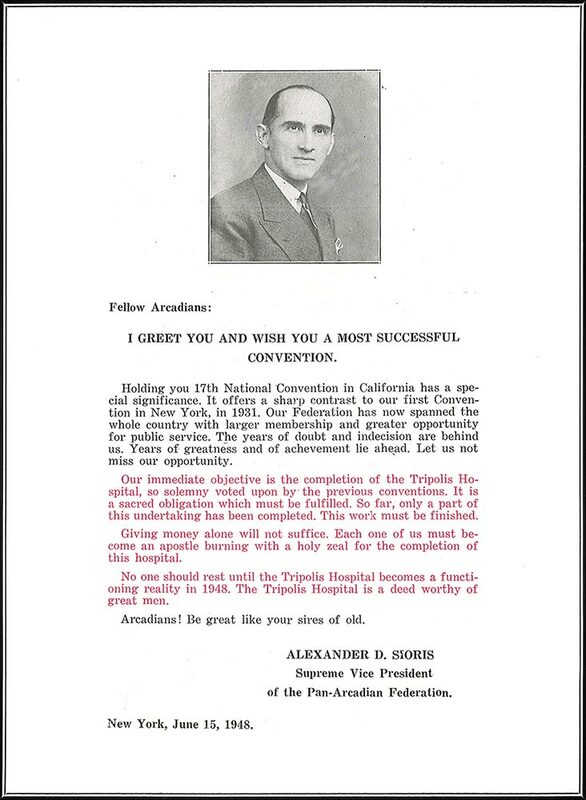 In 1952, the Pan Arcadian Federation of America handed over the Pan-Arcadian Hospital of Tripolis under a contract, in exchange for a token rent, to the Ministry of Health. William G. Helis Jr., a Louisiana oil producer and sportsman, was the managing partner of the oil properties of his father, William G. Helis, an independent producer. 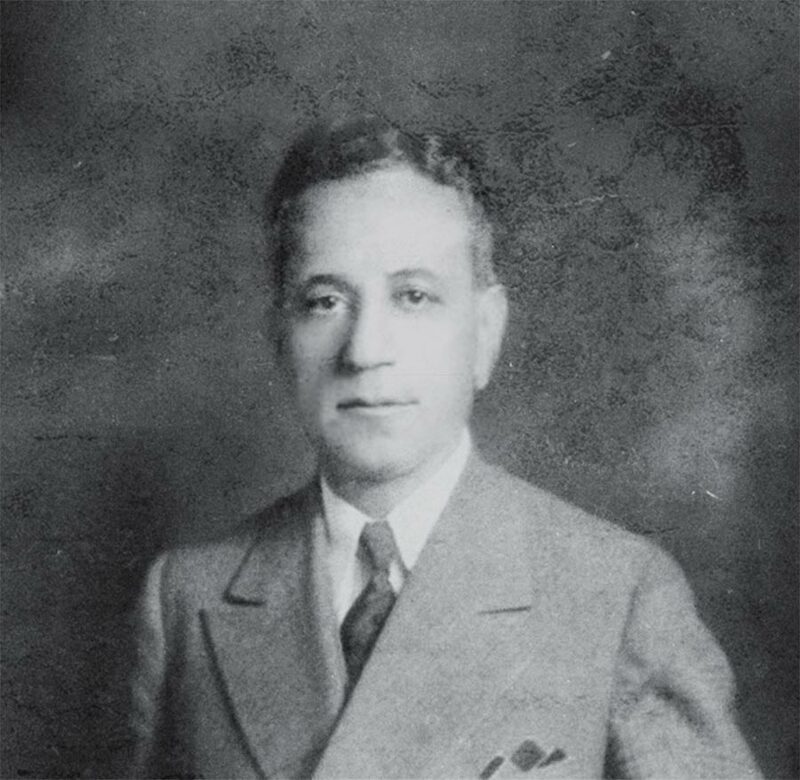 The younger William G. Helis Jr, whose father emigrated to the United States from Greece, maintained close ties to Greece throughout his life. 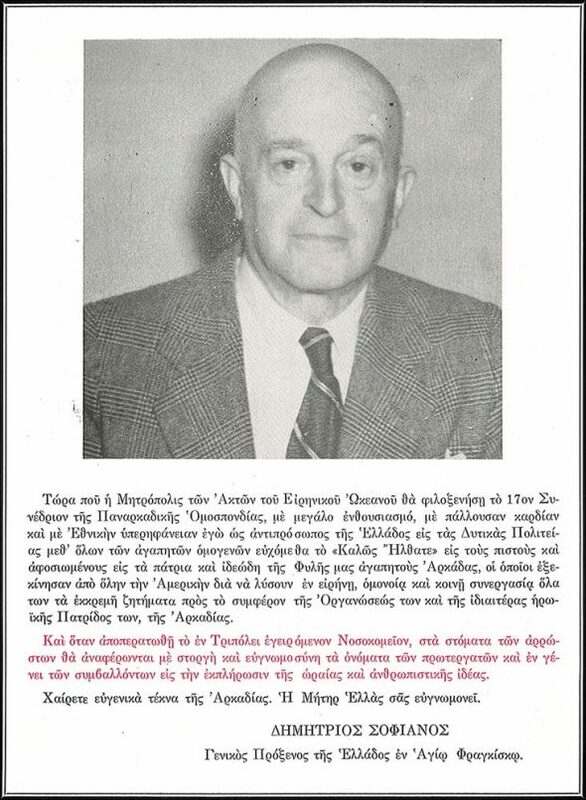 He served as honorary consul here for the Royal Consulate of Greece from 1950 to 1968, and represented US President Lyndon Johnson at the marriage in Athens of King Constantine to Princess Anna-Marie of Denmark in 1964. 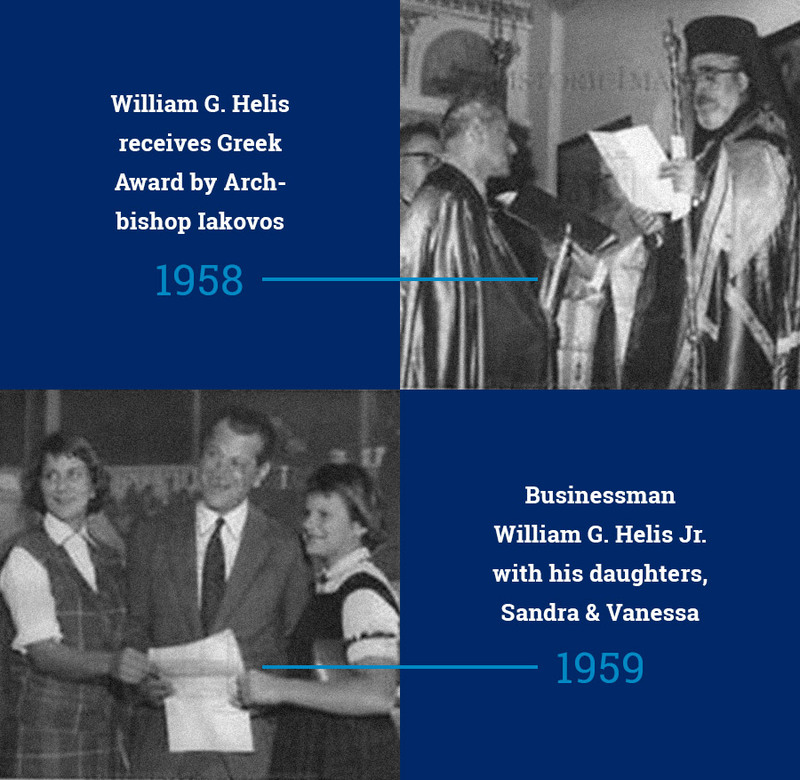 Among his civic and philanthropic activities were the Dimitris Mitropoulos Awards for young pianists, which William G. Helis Jr. founded. He helped send dozens of award winners through college and music schools. History is written with names. The Pan Arcadian Hospital of Tripoli during its erection. 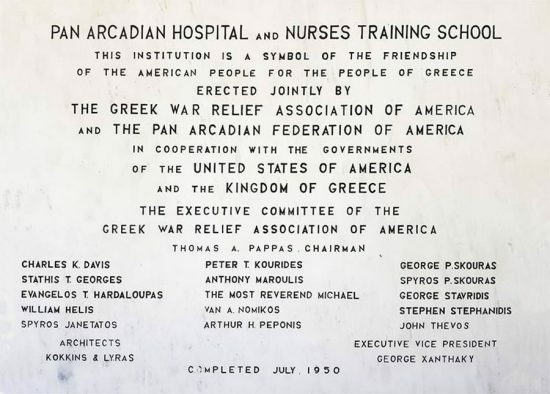 The History of the Pan Arcadian Hospital of Tripolis by the Pan Arcadia Federation of America with words and pictures. Let's all work with solidarity and passion to alleviate misery and pain.